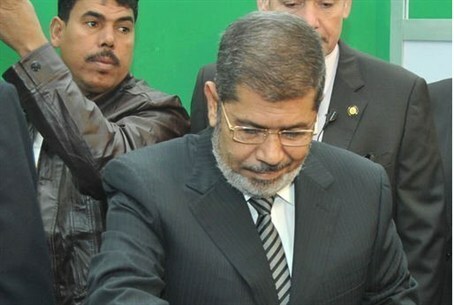 Nearly 15 million people have signed a petition to to “remove confidence” in Egypt’s Islamist President Mohamed Morsi. Nearly 15 million people have signed a petition to hold early presidential elections, in a campaign seeking to “remove confidence” in Egypt’s Islamist President Mohamed Morsi, Egypt Independent reported. Tamarod, the opposition campaigned meaning “rebel” in Arabic, was launched in May, attempting to 15 million signatures to outnumber the votes gained by Morsi in last year’s presidential election. The opposition is campaign “studying the possibility of confidentially submitting the forms to the Supreme Constitutional Court” before June 30,” said spokesperson Mahmoud Badr. “We are printing the forms on CDs to preserve them,” Badr said. Morsi’s tenure as president has been marked by severe political turmoil and opposition.